PV 6 USB, Analog Mixer from Peavey in the PV series. 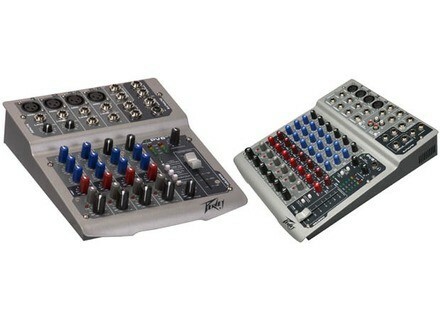 Peavey has added two new, feature-laden mixers to its long-running PV Series, the PV® 6 USB, and PV® 8 USB. The PV 6 USB and PV 8 USB feature effects sent on every channel with stereo return, zero latency record monitoring capabilities, and more, while a USB port allows direct connection to a USB-equipped computer for recording from the mixer or playing back digital audio (compatible with Mac OSX, Windows XP, ME & 2000), Peavey says. Both of these models also include pre-fader monitor sends; inserts on all channels; and dual switchable line inputs on the two stereo channels. All PV Series mixers’ mid band EQ are unlike the typical 1-2.5khz you find on other mixers, because the EQ set at 450hz, the company explains. All PV Series mixers include Tape to Control Room and Tape to Mix assigns, which are designed to allow the operator to monitor an external stereo signal without using any of the mixer's channels. In addition, the mixers' Control Room output is designed to send a stereo master output signal to an external source for monitoring. Phantom power, effects send and a contour switch, are also standard on all models. The PV 6 USB and PV 8 USB mixers are available now to order. Check out www.peavey-eu.com/index.php for more info. Genelec 8260A DSP Monitors Genelec's new 8260A 3-way active DSP monitor will debut in the UK at next month's Broadcast Video Expo (BVE) at Earl's Court. [NAMM] iDR-16 MixRack & iLive-R72 At the NAMM next week Allen & Heath will be launching the iDR-16 MixRack and iLive-R72 rackmountable Control Surface from the iLive digital mixing series.